Restlessness and irritation prevents you from enjoying your day, and insomnia won't let you sleep at night but with Seredyn, you can face every day with a calm and confident outlook. The serenity of Seredyn is achieved by combining the wisdom of nature with the power of science. Clinical research suggests that the natural compounds in Seredyn can help relieve anxiety, insomnia, and panic attacks. 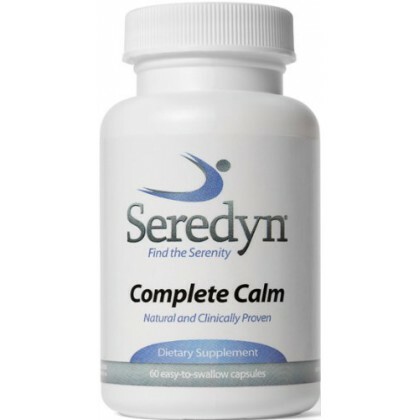 By supporting the brain's natural ability to relax, Seredyn restores tranquility to your life without expensive or habit-forming drugs.